My absolute favorite thing about blogging is you. Seriously. I get the biggest rush from sharing something that makes your life easier – whether it’s sharing how I respond to brand email inquiries, a way to style something semi-challenging like turtlenecks, or where to find free books. So I then started thinking. How can I contribute more to this community? I am not an expert. I’m just a girl who happened about this crazy thing called blogging, loved it, made some friends, and now love talking about it since it’s how I spend about half of my life these days. I asked on Twitter last week if anyone would be interested in some sort of blogger e-meetup and I heard a resounding yes. With lots of exclamation points and all caps in some cases. I dig the enthusiasm, guys. Introducing… Let’s Talk (Blog) Shop! 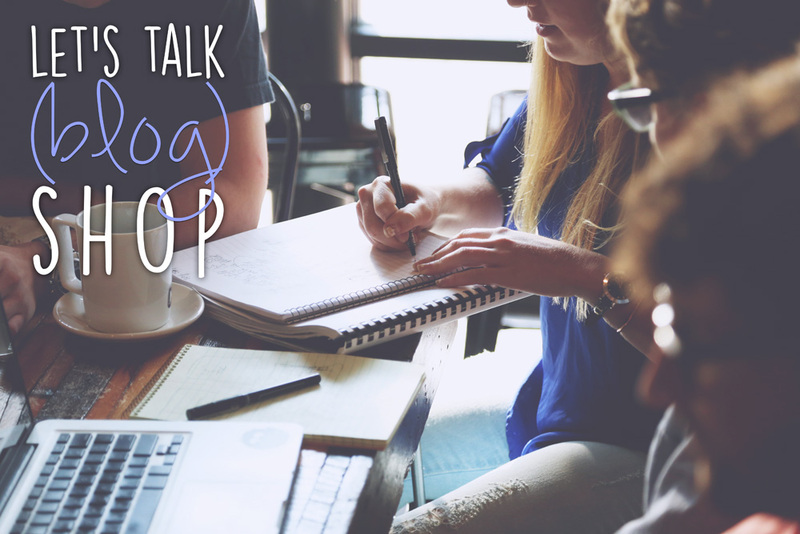 My goal with Let’s Talk (Blog) Shop* is to facilitate an online meeting of the minds. You send me questions, I will compile them and moderate the online meetup, and the rest is up to you. Bring your mind, BYOB (bring your own beverage), fire up your favorite note-taking app, and let’s get it started. And really, you don’t have to be a blogger. Maybe you’re thinking about starting a blog, want to learn how to better work with bloggers for your business, or maybe you’re more into social media. You’re more than welcome! The first e-meeting of the minds will be on Saturday, February 28th at 3pm PST/6pm EST. The session will be about an hour-long, and I will try to lead discussion on as many topics and questions as possible. Oh, and did I mention this is free? Because it is. I hope you’ll join us! Submit your name, email, and question or topic requests in the Google Form below. Not a fan of crowds? That’s cool! Shoot me an email and let’s chat. I hope you’ll consider joining the fun, and I can’t wait to e-meet you all! Happy Friday! Bummer! Hope you can make the next one! I will be working tomorrow but this is a great idea! I hope I can make the next one! This sounds so fun! I hope I can make the next one, can’t wait to see how it goes! This sounds like an amazing idea! I really want to start getting connected with other bloggers, as well as growing my own blog , so this sounds so great! I am definitely going to sign up for the waiting list! This is a really cool idea girl!! Such a good idea! Can’t wait for the next one. Ahh, I’m so sorry that I missed this! can’t wait til next time though :) What a fabulous idea Jenn! What a great idea! Sorry I missed it this time. Thanks Kelly! Hope you can join the next session!